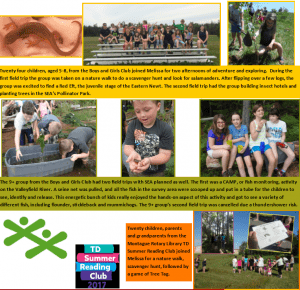 SEA partners with local community groups to offer exciting and educational field trips!! STEAM Starters Pgm: SEA works with local schools and youth groups to encourage creativity, problem-solving, and innovation in our environmental program. Environmental education allows individuals to explore environmental issues, engage in problem solving and take action to improve the environment. 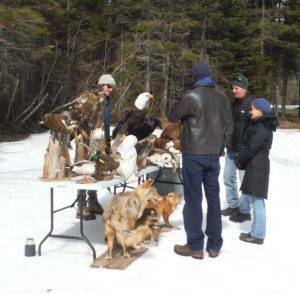 Environmental education is hands-on, interactive learning that sparks the imagination and unlocks creativity. It fosters sensitivity, appreciation and respect for the environment and helps build knowledge, develop important life skills and enhances critical and creative thinking skills. 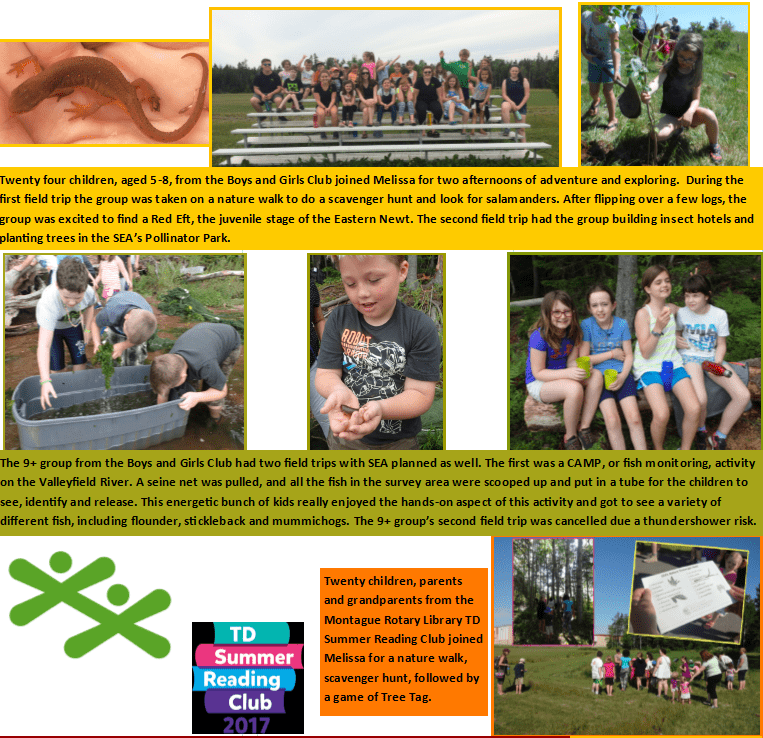 During the school year, SEA carries out various activities with the Montague Family of Schools, and over the summer, hosts a number of field trips for the Boys and Girls Club of Montague, the TD Summer Reading Club at the Montague Rotary Library and the Three Rivers Summer Camp.